I generally use ESRI World Imagery satellite map because of its sharp details when zoomed in. However, for the past couple of days, the imagery is now a mix of ESRI and Bing. I've tried reloading and switching to a different editor, but the imagery is still as I described. The lower right quadrant is Bing imagery and the other three quadrants is ESRI imagery. I don't like Bing at all because the "clouds" block the details even at the outer zoom levels. Without the location, it is difficult to be sure, but the only possible satellite imagery on that screen shot is the bottom right corner. All providers have a limited choice of satellite imagery providers (NASA and ESA, probably), so their satellite imagery is likely to look much the same. Also, the cut off is not on tile boundaries, which indicates the change was made upstream of breaking it into tiles, which again suggests this is something that ESRI has done. (The bulk of the imagery will be from aircraft, which will be more variable, as there are potentially more providers of that, but even then it is possible that both ESRI and Bing buy in images from third parties. 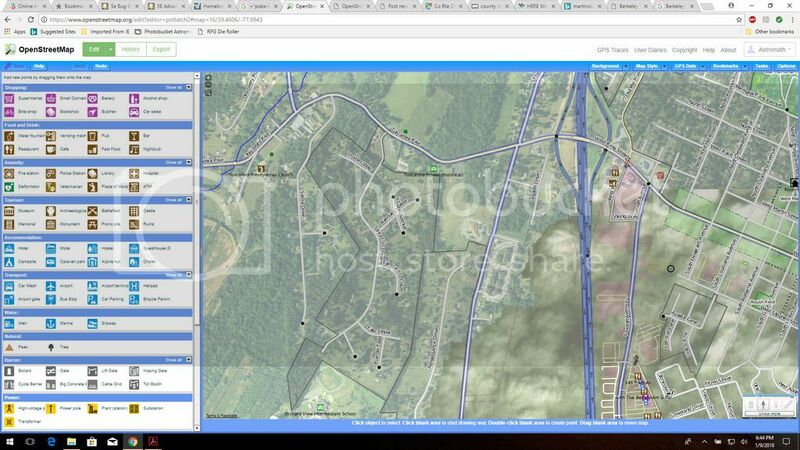 It is possible that a third party supplier has objected to the OSM use of their aerial imagery and that was used on the bottom right. 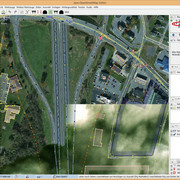 What you see is pure aerial images from ESRI. Bing has sharp images in this area. ESRI used to be clear and detailed probably about 3 days ago. Now it is identical to Bing. Bing always produced "clouds" at this zoom level. ESRI never had any clouds at all. This is making my editing impossible. Yes, I could go with one of the others, but only ESRI had the detail I needed. Never used to be that way. In the images I provided in the previous post I had used ESRI to add a couple details from the satellite image (along the lower edge left hand building and the lower right edge a park and on the upper right corner I had added a historical district). Now, ESRI totally obscures those images. Just to confirm, I went to the ArcGIS site to see if it is the same there. It is. So it is not on your end. It is on theirs. I'm totally bummed out because I was still adding details to buildings and stuff around my area (Martinsburg, WV). Just poking around other satellite image sites I came across https://earthexplorer.usgs.gov/ Any way of adding these to OSM? 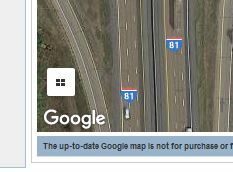 You must not use it as a source for OSM even when accessing it directly from the usgs.gov site. That's a pain. I didn't know that Google had exclusive rights to it. I just thought it was another public domain site. I still would love to see that kind of detail when working with extreme zoomed in images. Makes outlining areas so much easier. Generally businesses don't give away their best imagery for free. 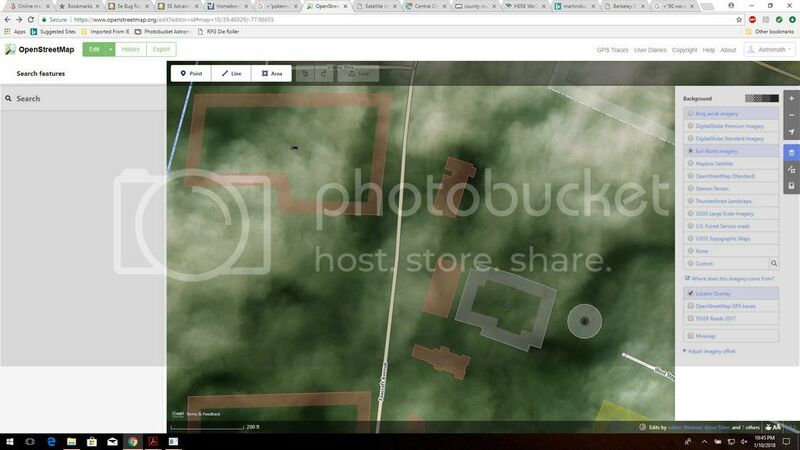 When OSM gets imagery it tends to be the less valuable imagery, e.g. OSM doesn't get access to Bing oblique views. There is often some ulterior motive as well. Even with high resolution imagery, a lot of it is out of date, so you still need to actually visit the place and survey on the ground. There have been cases where people keep putting back demolished buildings because they are on the imagery. OSM was first created because it was possible to map without resort to any third party resources, other than the Navstar constellation. Thanks for putting it in the right place! Maybe this was true sometime ago, but nowadays this is not 100% true, in some areas where I collaborate new features are visible on aerial imagery available to OSM, and the imagery available in GMaps is one or two years older. I've sent a complaint through ESRI feedback since it is their problem. "complaint"? I suspect you misunderstand the nature of the arrangement. 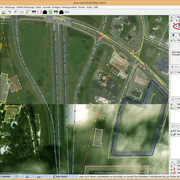 ESRI is kind enough to allow us to use their imagery for tracing, this required ESRI to invest quite a lot of work to go back to their suppliers and determine if such use would be in order. I apologize. I have a problem where "complaining" and "pointing out an issue" are identical. I am relieved to see that I'm not the only one experiencing this problem with Esri imagery. I've been using it extensively shortly after I started mapping in October, and now in my area (https://www.openstreetmap.org/#map=14/39.2643/-85.8830), the Esri imagery has switched to being identical to the Bing imagery. Please don't directly access third party map tiles, even when some versions are available officially for OSM. It is possible that only the officially available ones are actually licensed for OSM. even if the ones you are using were previously licensed. For completeness re Arcgis see this https://github.com/Esri/arcgis-osm-edit … -157990157 long discussion (including its eventual resolution). 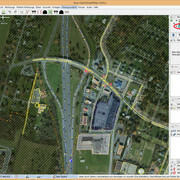 Has someone already tried to contact ESRI about permission to use the clarity layer? I've just pinged two of their employees (who had been very supportive when getting the "standard" ESRI worl imagery officially into iD/JOSM/etc. ): https://github.com/osmlab/editor-layer- … -359237579.
since Clarity is still technically a Beta service, some Esri folks have reservations about updating the canonical OSM provider list to include it. i'll keep trying to convince them, but in the interim please feel free to tell users that it is 100% kosher to supply the url @tyrasd shared manually. Thank you tyr_asd for following up, and a big thanks also to jgravois!